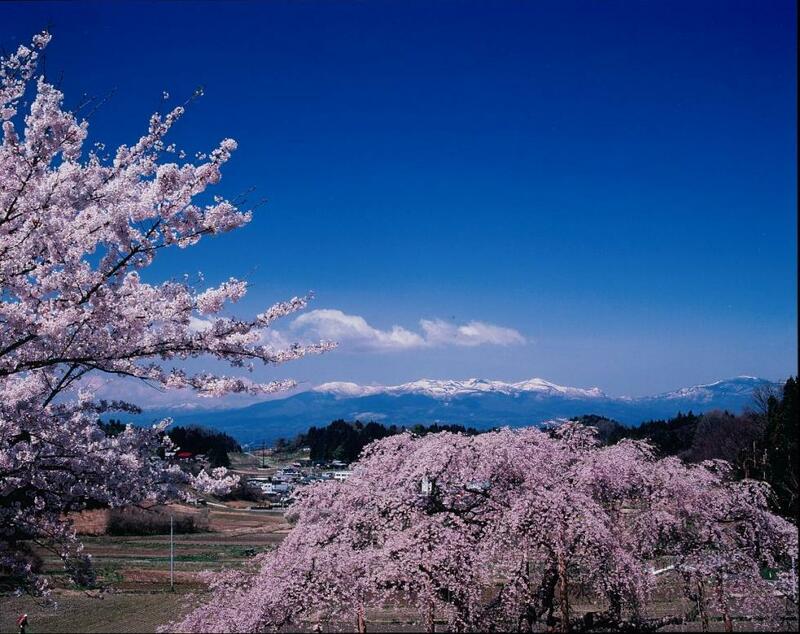 The red weeping cherry tree is estimated to be 150 years old and is located in the Towa area of Nihonmatsu. Because long ago there was a memorial stone monument, such as a Jizo and Bato Kannon (the horse-headed Kannon) at the base of this cherry tree, it became known as the “Jizo cherry tree of Nakajima." In the daytime you can enjoy seeing Mt. Adatara in the background with its remaining snowfall and at night the dreamy cheery blossoms reflected in the illuminated paddy.